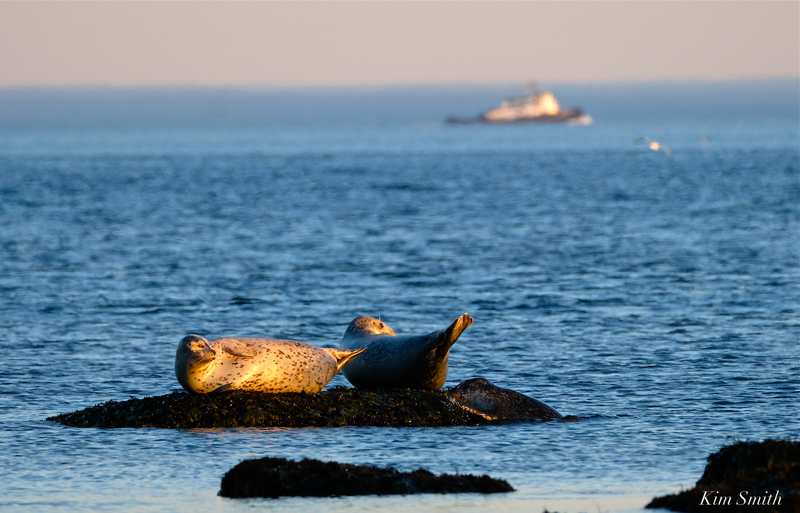 As was everyone else, the Harbor Seals were enjoying Tuesday’s 50 degree weather. Much jockeying, grunting, and gnarling over prime rock-real estate was taking place. Paintings of nudes by Renoir and Botero, along with the made-up word tubylette, come to mind whenever I see these bathing beauties basking on the rocks at Brace Cove. 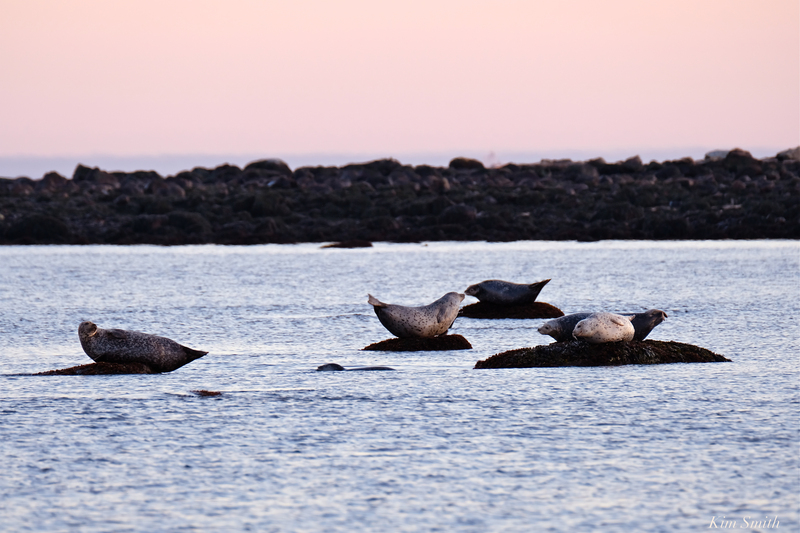 By the time I left after sunset, there were no less than fourteen Harbor Seals hauled out on the rocks. 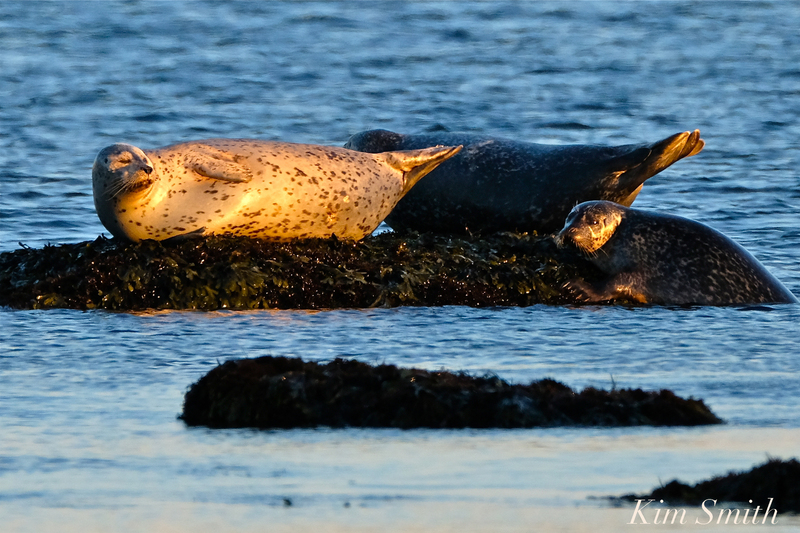 This entry was posted in Cape Ann Wildlife, Gloucester, Life at the Edge of the Sea, Rockport and tagged Atlantic Harbor Seals, basking Harbor Seals, brace cove, Brace Rick, Eastern Point, Phoca vitulina, Phoca vitulina vitulina on February 6, 2019 by Kim Smith.